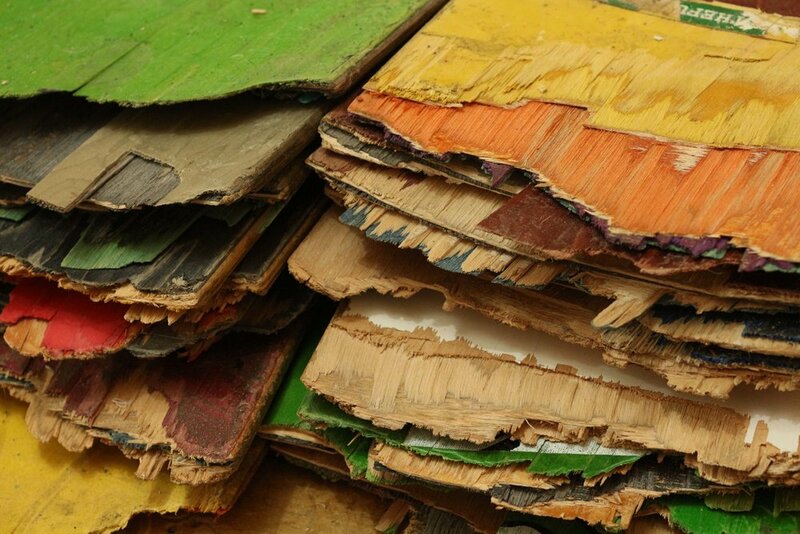 Handcrafted from Recycled, 7 Ply Maple Skateboards. Sourced from local skateboard shops in Colorado. 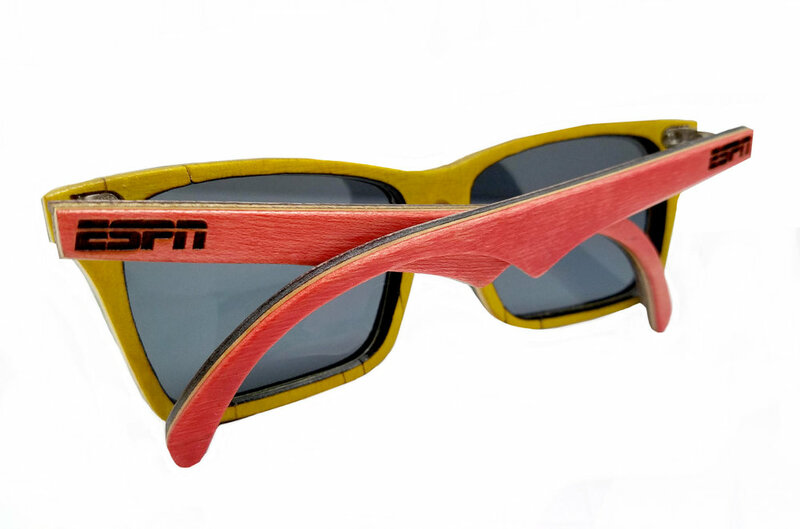 Fitted with anti-glare Polarized lenses and Spring-Fit hinges. Weatherproof and durable. Features original skateboard coloring with your choice of outside arm color. Inside colors are random. 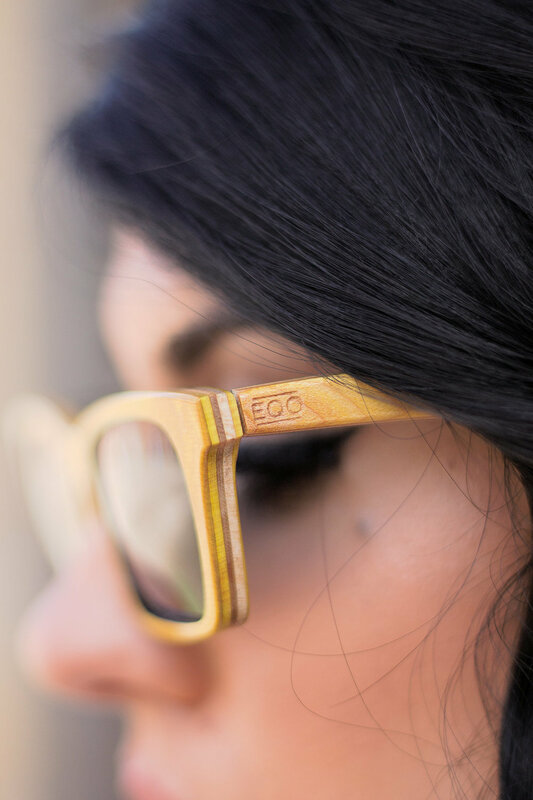 Our SK8Glasses™ can be personalized with your logo on the outside of both arms. 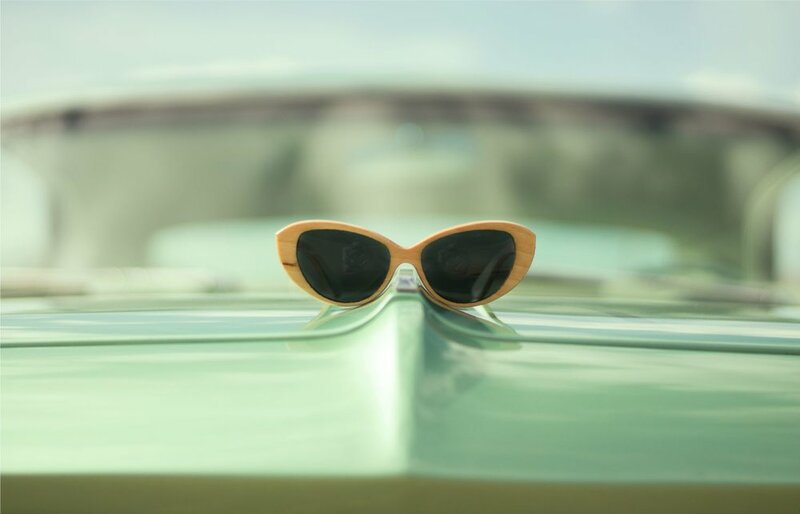 No other sunglasses have a story like ours. 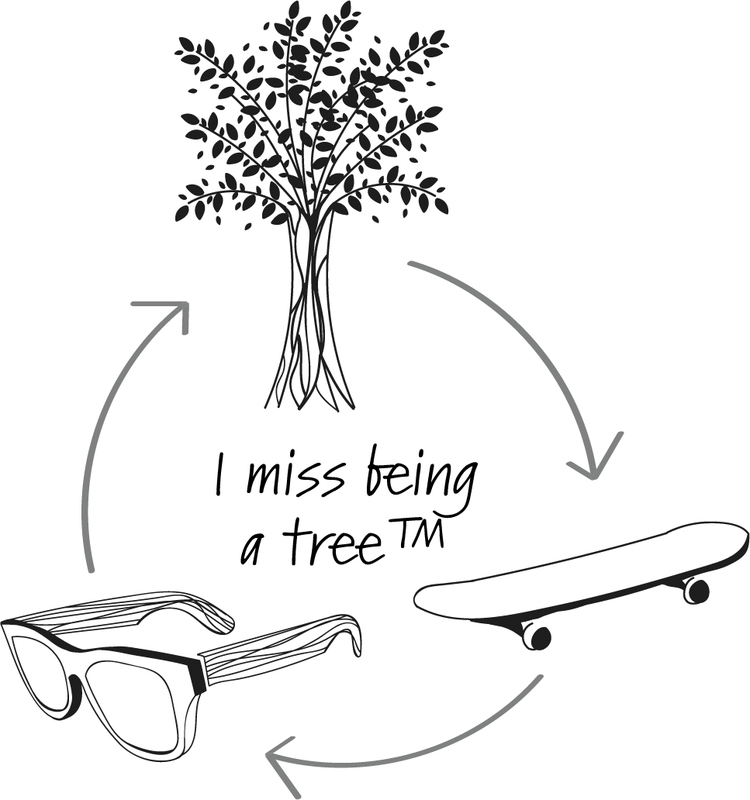 They started their life as a tree, then they lived an exciting life as a skateboard and now they're back as SK8Glasses™! 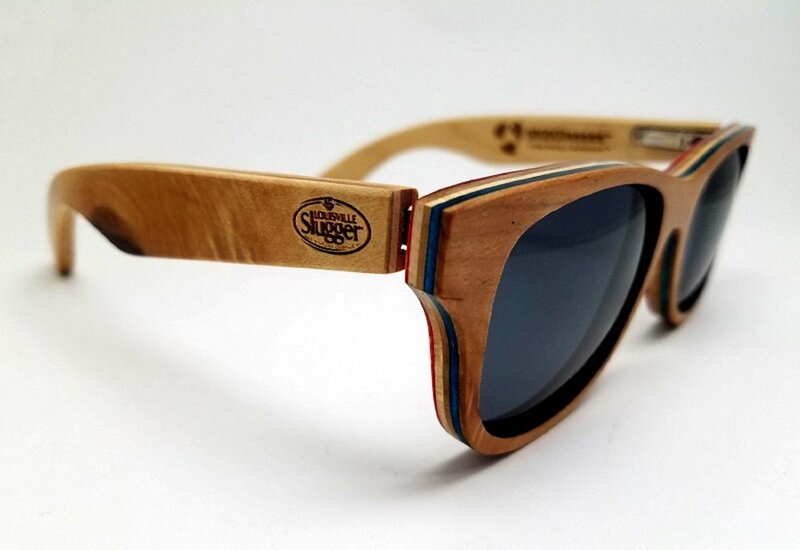 Our SK8Glasses™ are handcrafted from Recycled Skateboards, collected BC Surf & Sport, our favorite Colorado Springs Skate Shop. 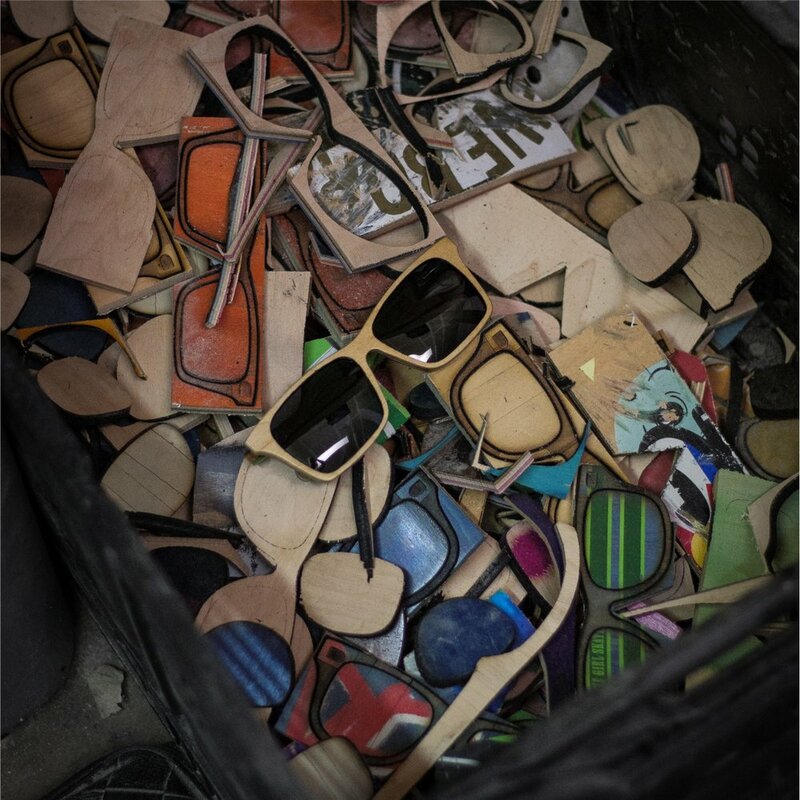 For every Skateboard we save from the landfill, we can create 6 pairs of SK8Glasses™ US Patent 9,268,156. 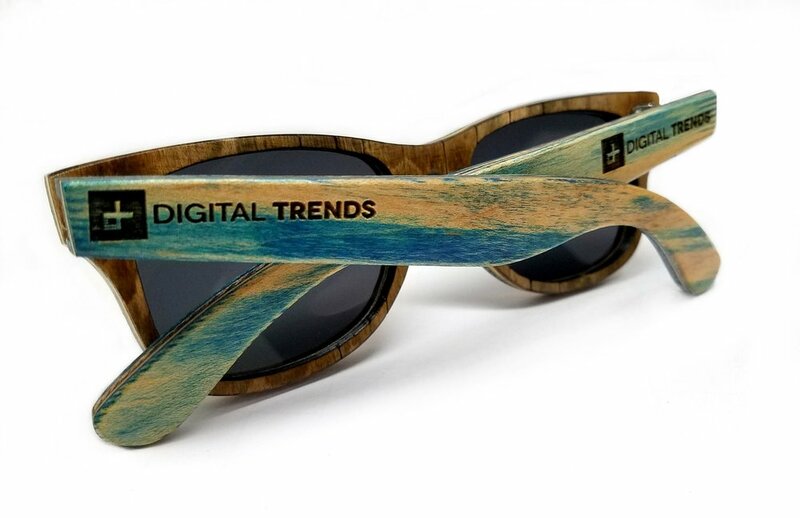 We laser-cut the frames from the flat part of each recycled deck. 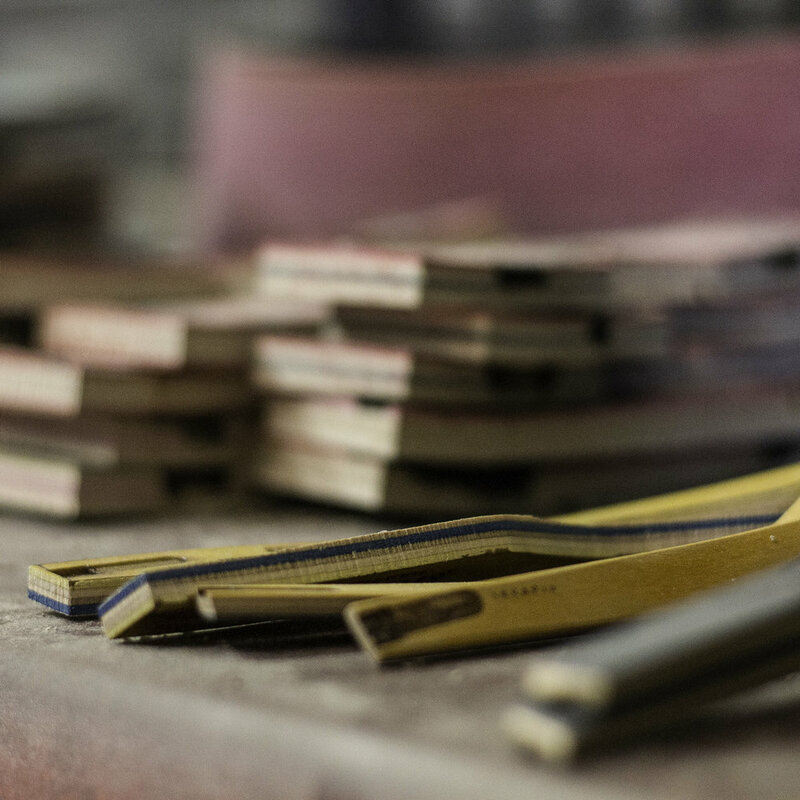 The curved ear pieces are produced from the curved nose and tail pieces of the skateboard. 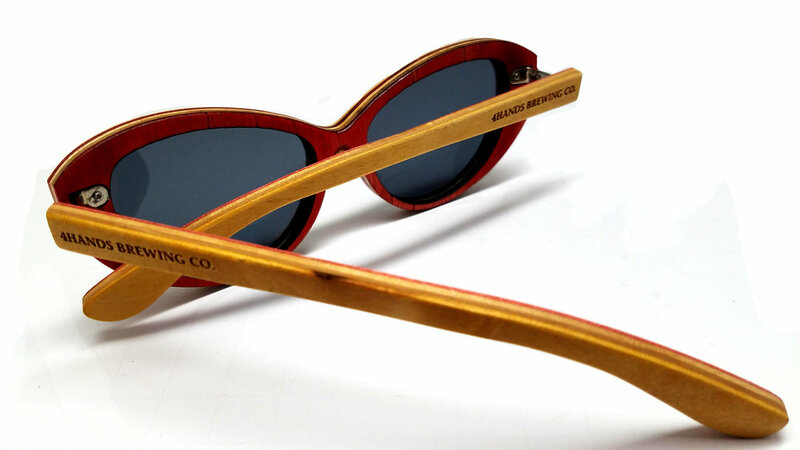 The frames and arms are sanded and soaked in a rubber-infused strengthening agent. A clear-coat gloss finish further protects the Maple and reveals the skateboard’s natural vibrant colors. 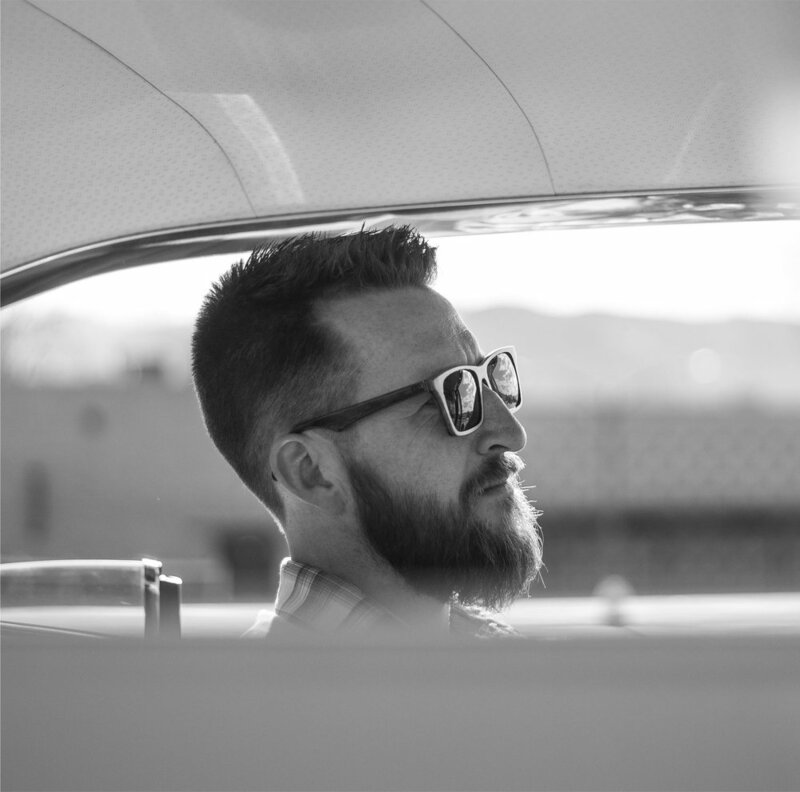 The frames are then fitted with anti-glare, Polarized lenses. Stainless-steel, spring-flex hinges are added for the perfect fit. 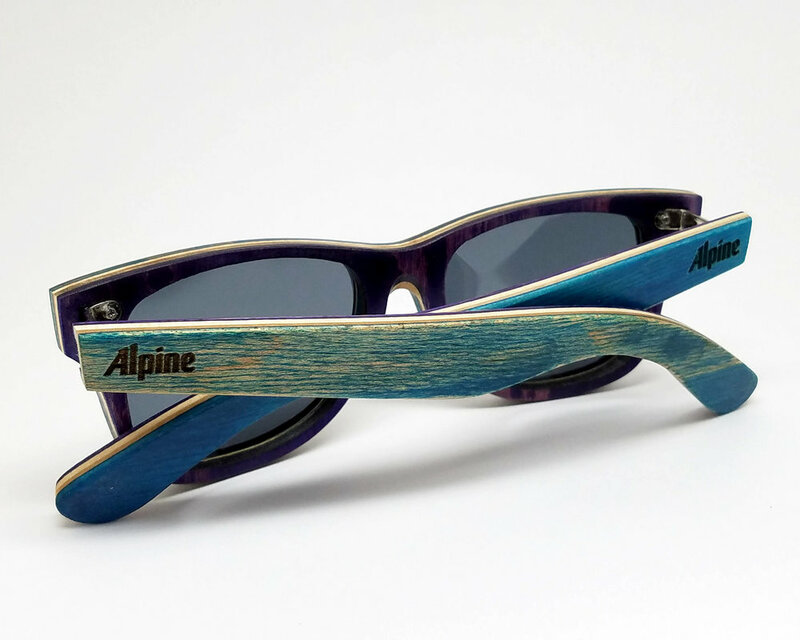 Our SK8Glasses™ feature the original coloring of the skateboards (are not re-painted). They are handmade and vary in shape, size and color. 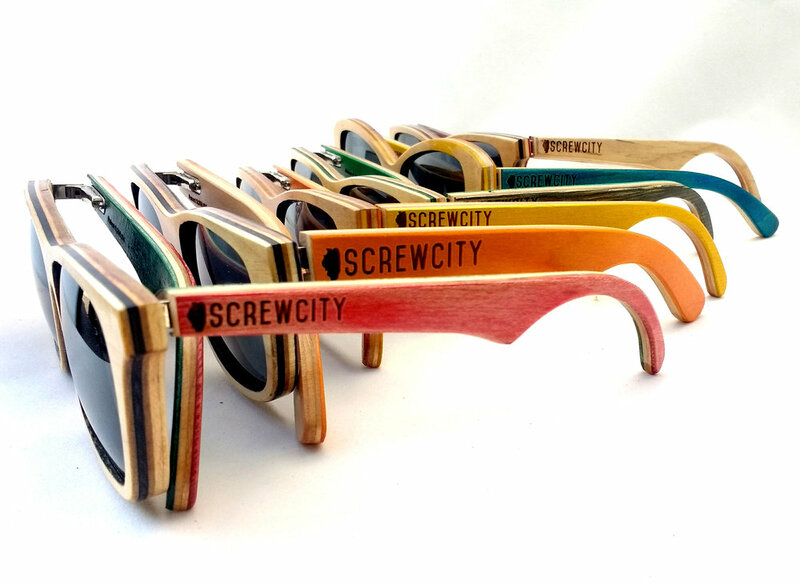 The outside temples come in 10 different colors and the inside colors are completely random, making each pair one of a kind. We offer 4 different styles: Sycamore, Acer, Woodrow and Mariana. 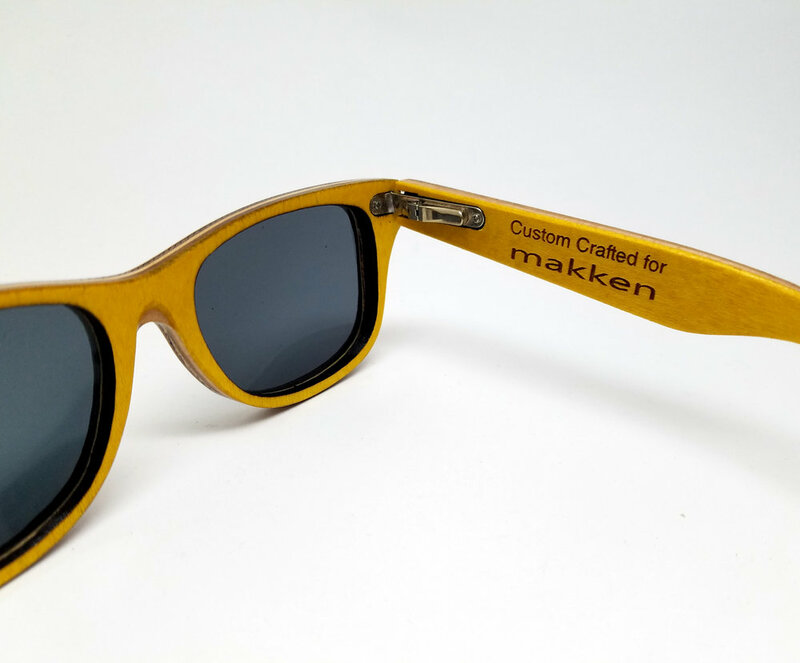 Complete customization is available including color-matching and logo engraving.